Interior Minister Paula Risikko. File Photo – Lehtikuva. Interior Minister Paula Risikko on Sunday said she intends to determine the lawfulness of violent organisations like FRM. The minister’s remark followed the death of a passer-by from being beaten up outside the Helsinki central railway station where the Finnish Resistance Movement was holding a demonstration. The man who had been beaten up at the station square on September 10 succumbed to his injuries at the Helsinki Meilahti hospital on Friday. The Finnish Resistance Movement made news due to street violence in Jyväskylä of central Finland in the summer of 2015 and a stabbing in the same city in 2013 at a presentation of a book critical of right wing extremism. Meanwhile, National Police Board Chief Inspector Samppa Holopainen on Sunday said the police do not underestimate the dangers of the Finnish Resistance Movement (FRM) or other extreme right-wing organisations. “We certainly take far-right gatherings seriously. We do not underestimate them. The case [of the Station Square homicide] should not have very far-reaching conclusions. The suspect has been caught, and his possible connections are being investigated,” Holopainen said. 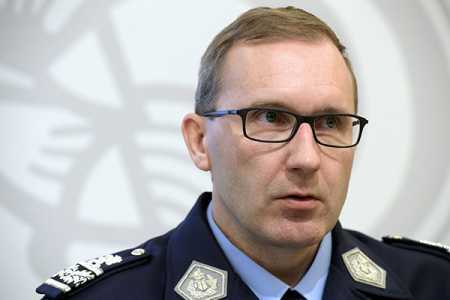 The Chief Inspector of the National Police Board, Samppa Holopainen.File Photo – Lehtikuva. Holopainen, however, termed FRM as a relatively small organisation. “The number of members in the organisation in Finland is relatively small; this is not a great popular movement. However, in some other countries, the organisations are larger, so this certainly must be monitored carefully,” he said. Holopainen said the police must act in accordance with the laws enacted. The matter of whether the prohibition of certain organisations is wise is another matter entirely. “At first, you might think a ban would eliminate the problem. However, if people don’t have legal avenues of expressing their own visions, they will turn to illegal means. There is no simple solution,” said the chief police inspector. The national police chief, Seppo Kolehmainen indicated on Sunday that formally banning the organisation may not be effective. An extremist organisation could probably be able to continue its activities despite being banned, he said.